WASHINGTON — The U.S. Senate has voted unanimously to pass a resolution urging the Obama administration to do more to free an American pastor imprisoned in Iran, as well as all Americans incarcerated in the country. The resolution was presented by Sen. Jim Risch of Idaho, the home state of Saeed Abedini, who has been behind bars in Iran since 2012 and ordered to deny his Christian faith. “It is only right that the president should ensure Iran frees Pastor Abedini and the other Americans they have held captive for too many years before the United States provides any sanctions relief,” he stated. 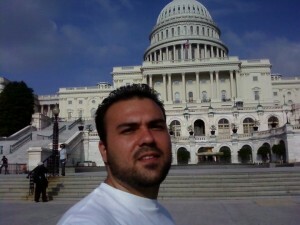 But as Abedini remains behind bars along with Americans Amir Hekmati and Jason Rezaian , members of Congress urged the Obama administration to use “all diplomatic means” possible to secure their release. “I think we’d all agree that, at the very least, the American government should not be rewarding Iran for its disgraceful human rights abuses, that we should not be granting Iran the funding to pursue its nuclear weapons program and terrorist proxies while this exploitation continues,” he said. The resolution passed unanimously 90-0 on Monday.